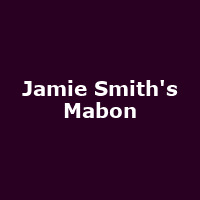 "Jamie Smith's Mabon's music is well described as Original, Interceltic, World Music. Composed by frontman Jamie Smith, and brought to life by six highly accomplished musicians, it draws inspiration directly from the traditional folk music of the Celtic countries. This is not Welsh music, nor Scottish or Irish; this is Interceltic music, a true exploration of forms and styles found in Celtic music and their forging into something bold and new."